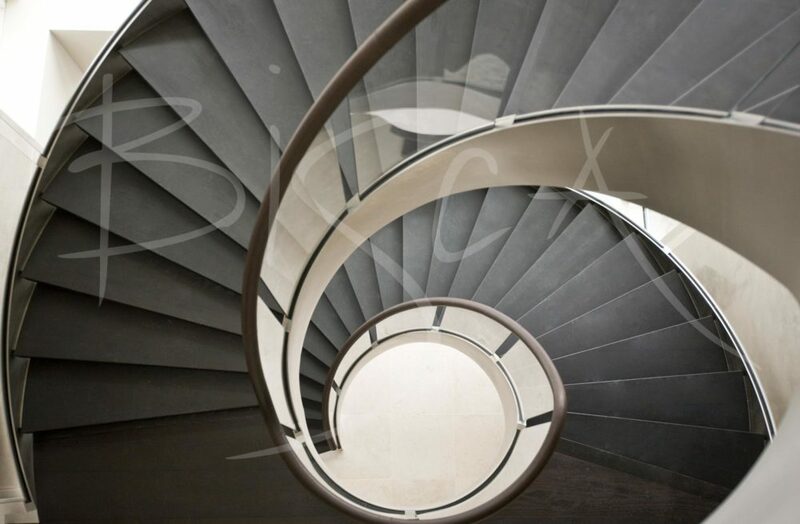 A bespoke contemporary staircase of American dark Walnut, steel and glass between 16th and 17th floors of a London Penthouse. 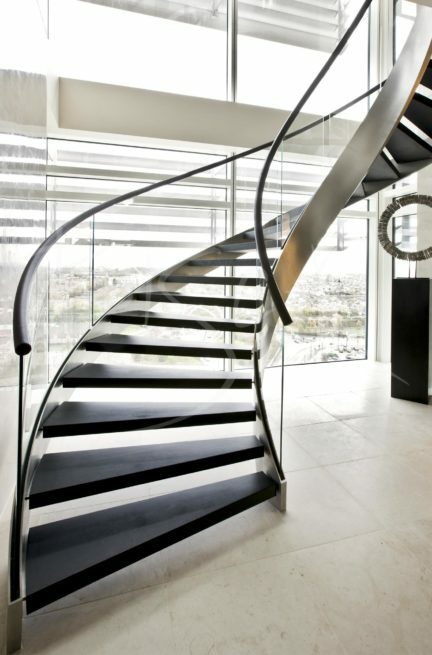 Sweeping through the levels, the curved glass balustrade and leather handrail guide the eyes upwards. The light flooding in through floor to ceiling windows reflects the City of London view. 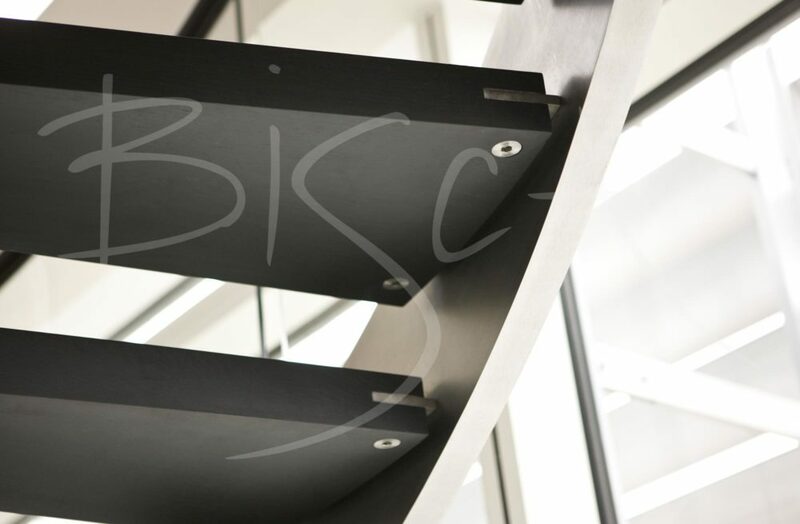 We craned the staircase into the building through a 16th floor window during construction. Contact us as early in your project as possible. Even if you are still at planning stage. It is easier to make the most of your stair space before builders have begun to lay floors, build walls and define landing edges! 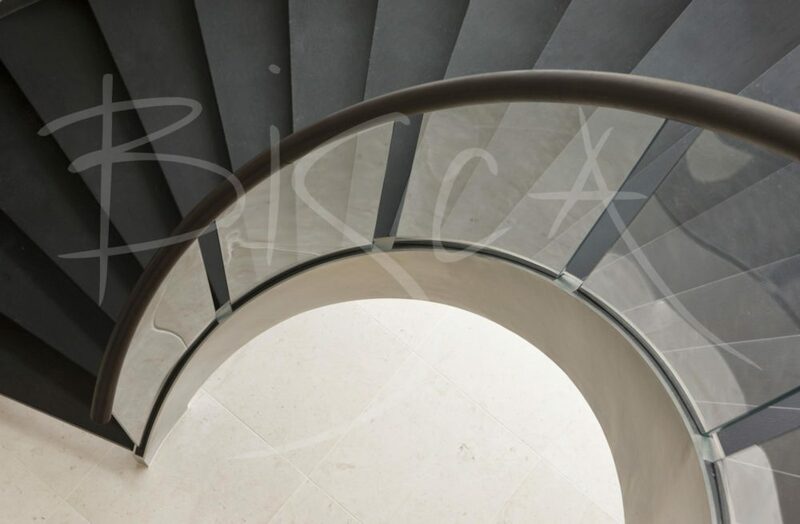 For further information about a bespoke contemporary staircase or balustrade design, or to get a price for your own project based around this design, please quote reference 2390.